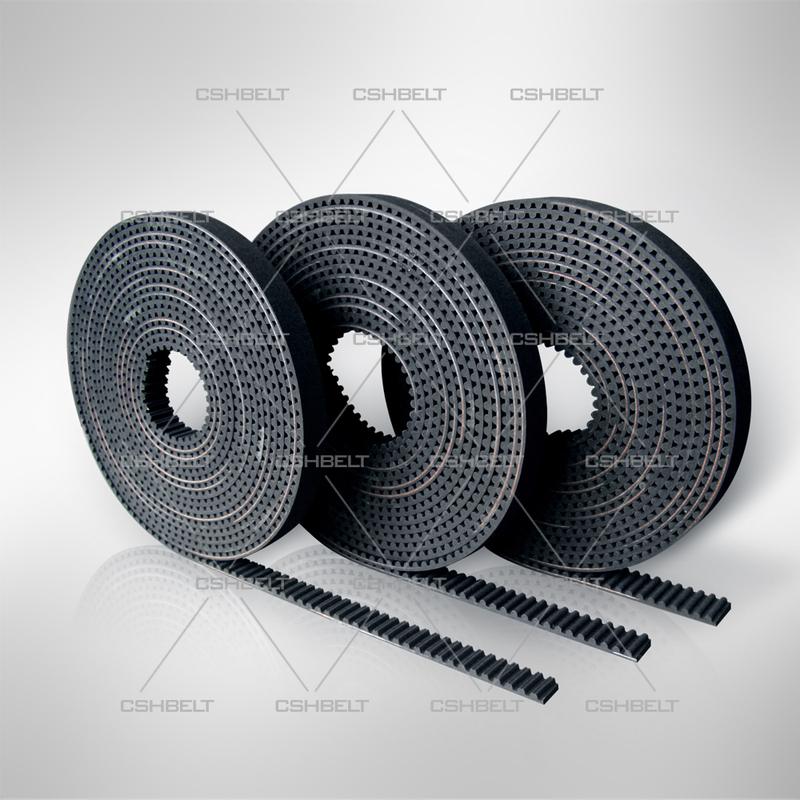 Rubber Open End Timing Belts on sales - Quality Rubber Open End Timing Belts supplier | Shaoxing CSHBELT Co., Ltd.
Rubber open end timing belts are rubber based timing belts manufactured with high quality materials and unique fabrication technology. Especially suitable for linear motion systems,typically applies in: Automatic doors, CNC Machine tools, Printers etc. High load capacity, low noise and no maintenance make this belt a perfect performance in linear motion systems. 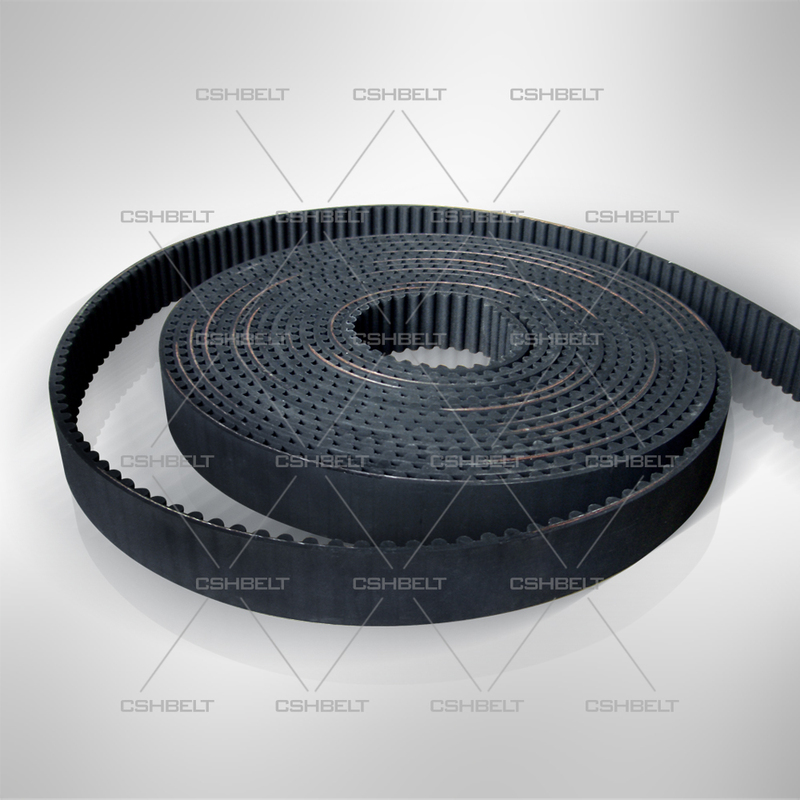 CSHBELT rubber open end timing belts produced in spiral cut. * Chloroprene body provides protection against oil, grease, heat and aging. * Glass Fiber cords provides high strength, good flexing performance, and low elongation. 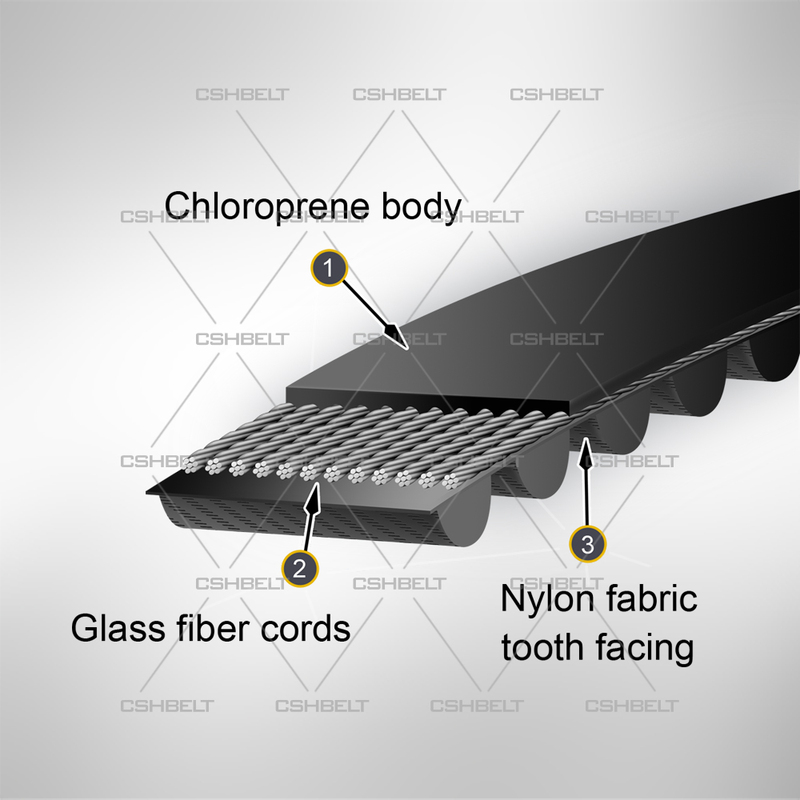 * Nylon fabric tooth facing provides resistance to abrasion and tooth shear. 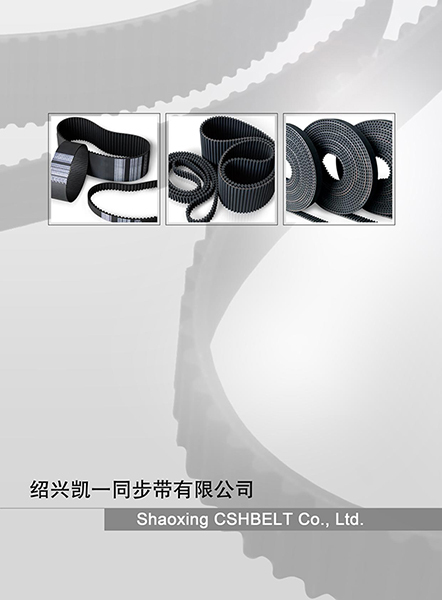 Copyright © Shaoxing CSHBELT Co., Ltd.